Synology NAS devices are fantastic appliances. In every test and review they reach top scores. But, these devices are based on regular hardware components, and hardware can fail. A hard-drive can crash, a RAID array can crash, and even a Synology NAS can be stolen, burned or drowned. So, you need to make a backup. You could do it using an external USB drive, which is better than nothing, but not great. If you really want to have a secure backup solution for your NAS, that is even affordable too, you need to make a remote backup. This way you have a copy of your data stored on a DIFFERENT location. Even in the worst scenario you do have a safe copy of all your data. SynologyBackup.com is in business for more than 8 years, we have many racks with servers in different data centres and we can and will take good care of your data. Because we use a dedicated solution, special developed for backing up Synology NAS appliances, there is no better solution on the market than ours. There is NO need to install a third party plug-in, or use extra software. The native Synology Backup function is all you need. All data transported over the internet is securely encrypted. You can have a look here to see how easy it is to make a backup of your Synology NAS. 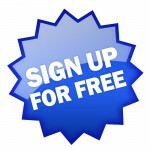 After that sign-up here for a free 14 day trial. No risk.